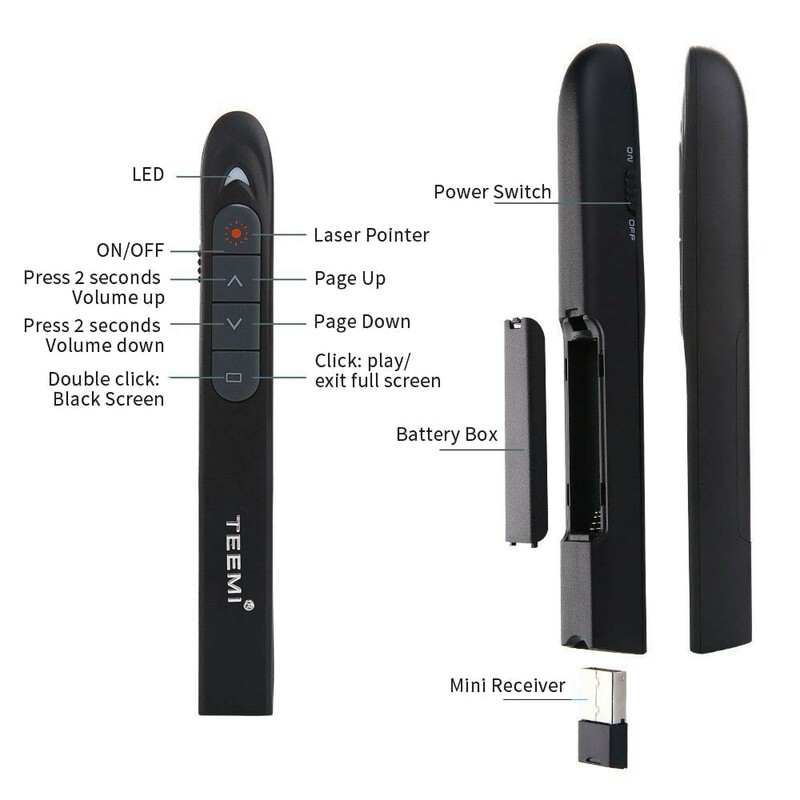 Wireless Presenter is equipped with top-grade microchip, up to 100 meters(328ft) wireless range. Operating on 2.4G RF frequency, can be used world-wide. 360 degree control without direction limit. Support functions including Page up and Page down, Full screen; support hyperlinks function in PowerPoint; easy control of volume up/down; etc., these features make this ppt clikcer the perfect remote for speakers, students, teachers and lecturers. Compatible with Windows 7/8/10 and above, Mac OS, Linux, Android 4.3 or above. with this Powerpoint remote, your presentation can run smoothly on any device and operating system. 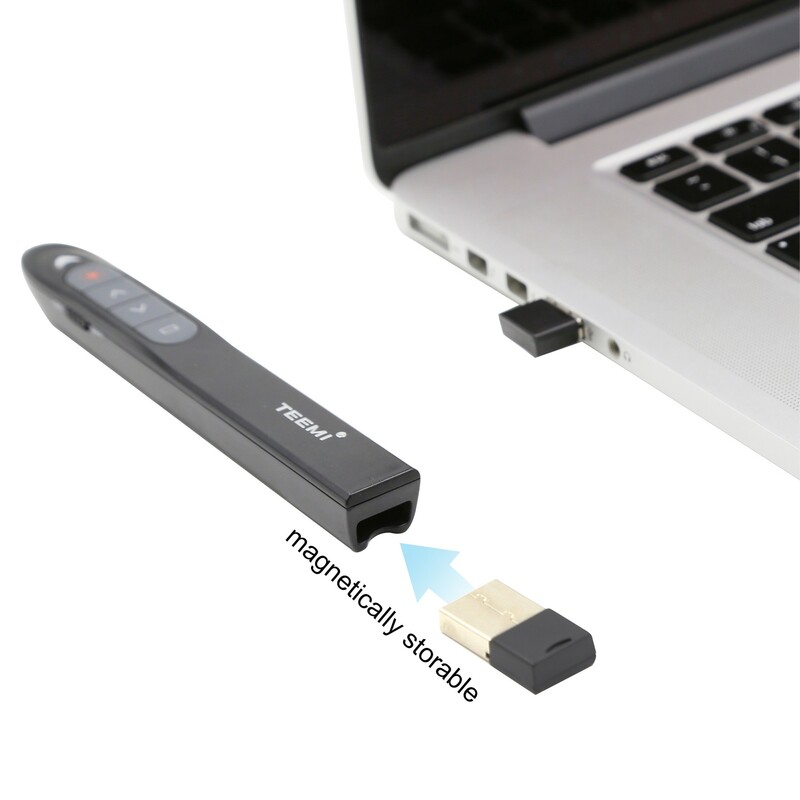 The USB dongle fits seamlessly into the chassis of the remote with a magnetic snap. No worry the receiver loss. This presenter uses AAA dry battery(not included), easy to replace. Comfortable Silicon button, big enough to press. 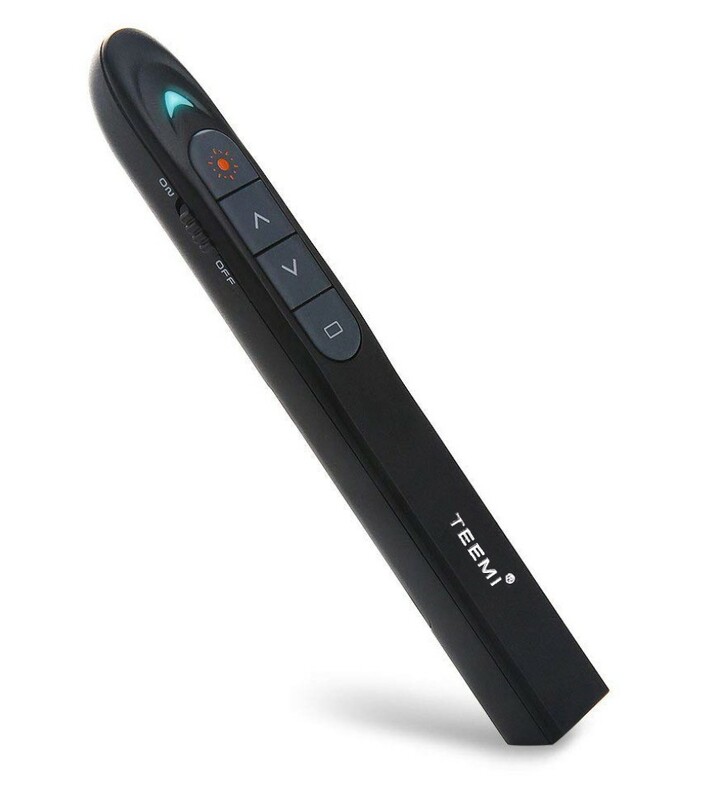 This wireless presenter is a great tool for PPT presentation, teaching, demonstration or office meeting.